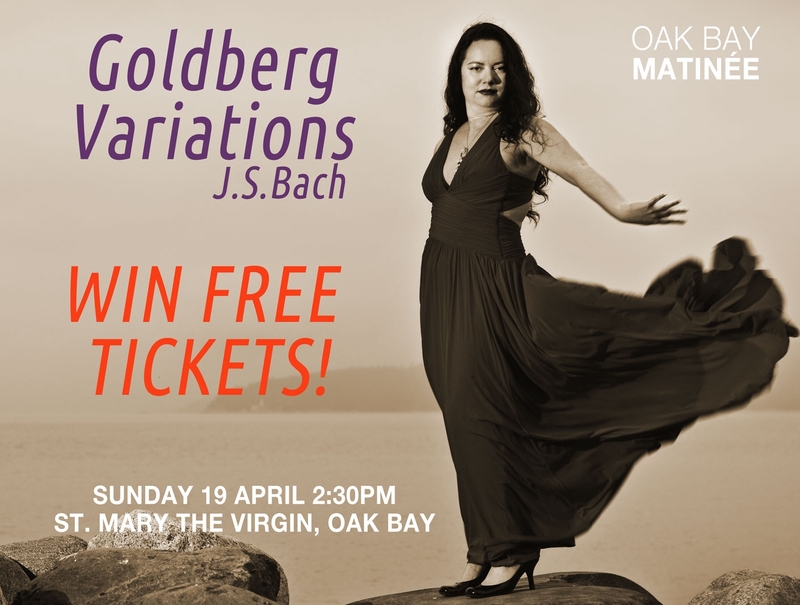 Goldberg Variations, with Rachel Iwaasa: Enter draw to win free tickets | Oak Bay Music: Chamber Music Concerts Victoria B.C. You’ll increase your chances by doing all three! Daily we’ll randomly pick an entry from our Facebook, Twitter feed, or mailing list. Please: only Facebook or Tweet us once a day! Sorry, no refunds on free tickets. Feel free to share this post with some of your best friends!